An interesting article appeared this week on TechCrunch, surfacing an investigation by the New York Times into dubious tactics by Facebook. Facebook had, it claimed, sought to discredit its critics by using a third party to create particularly nasty whispering campaigns which, in some cases, even leveraged anti-Semitic sentiments. An extreme example of negative PR, certainly, but the case highlights an important issue for those of us working in PR and marketing. Whether you are agency or client-side there will almost certainly come a moment in your career when you’re tempted to knock your competitors (or knock the competition on your client’s behalf). Maybe a competitor stole your idea and was more successful at publicising it. Or it is making claims about its product or service that you feel sure are bogus. You need to set the record straight, right? And this isn’t just about your bottom line – customers and journalists alike will thank you for being so up front and honest and bringing all of this to their attention, won’t they? It makes the story all about them. – The thing about mentioning a competitor, even when it is to criticise them, is that you’re bringing them to the reader’s attention. This will add to all the other mentions that they have presumably already had, (let’s face it, if they weren’t already getting a lot of exposure you probably wouldn’t be doing this in the first place). A casual reader often won’t remember why they’ve heard of a company, only that they have – unless there’s a major scandal of course. By making the story about your competitor you’re actually helping them do their PR. It makes you look like a follower, not a leader. – Ok, Facebook is a leader, but in general, leaders don’t get down in the mud and fight over the details. They rise above and pursue their own agenda regardless of what their competition is up to. In fact, the same is also true of good challenger brands. Both understand point 1. It ups the ante. – Ever had one of those arguments that you start in anger which then drags on and on, long after your anger has subsided, until you can’t even remember what you were arguing about and you’re exhausted? Like that. But more expensive. You are not objective, and your target audience isn’t stupid. – Context is everything. However justified your criticism of your competition, it will more than likely be viewed as a case of sour grapes by those reading it, many of whom will be your customers or potential customers. It is clear that you have a stake in, and can financially gain from, your competitor’s bad press. Better that the criticism come from a source who is objective in the eyes of the reader. 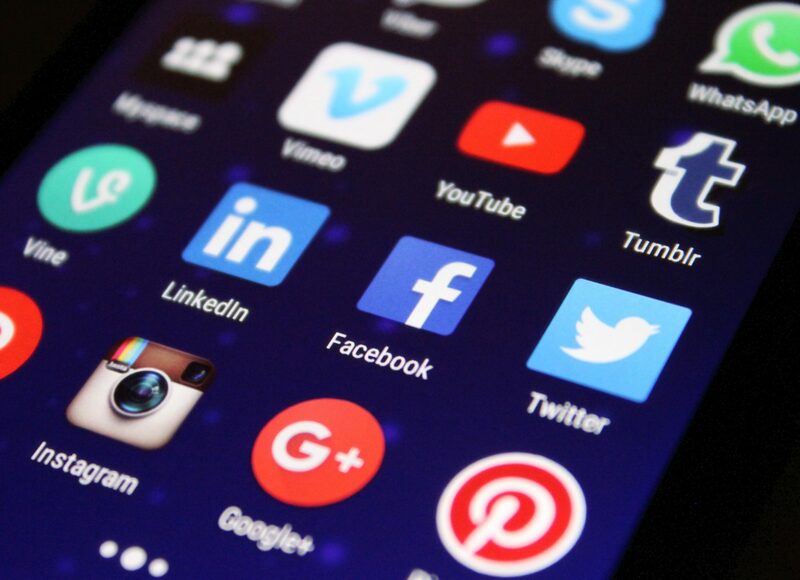 These points considered, there are ways in which competitors can be handled more subtly, without resorting to the kind of underhand tactics that Facebook is alleged to have employed. We’ll explore these in more detail in a future post, or if you can’t wait that long, get in touch for a free chat. No strings attached! There’s nothing that gets everyone talking (and sharing), quite like a good ‘walk off camera’ story. The drama of the escalating conflict, the anticipation of ‘the moment’, the post walk-off analysis.. it’s all very entertaining, particularly if it’s a celebrity or CEO with skeletons in the closet. For person doing the walking off, however, the situation is far from fun. Today Persimmon boss Jeff Fairburn became the latest high-profile business person to find himself in this position during a BBC interview – not so much walking off (although this is how the BBC billed it), but refusing to go on when asked about his £75m bonus, on the advice of his off-camera PR adviser. The serious question for the PR industry is why? Why was Persimmon’s PR team not prepared for such an obvious media ambush? And why, instead of trying to enforce what is, at best, a ‘gentleman’s agreement’ (that the BBC journalist not ask about the CEO’s controversial bonus), did they not simply brief him on how to answer, or at least handle, the question in an authentic way. By instead trying to micro manage a broadcast interview and stepping in to enforce ‘off limits’ subjects they’ve simply embarrassed their CEO and drawn greater attention to the issue. It’s now a more prominent story for all the wrong reasons. As news of the sharpest fall in global tech stocks in seven years broke on Thursday morning, commentators weren’t short of potential reasons why. Leading the charge, the Financial Times summarised it as a Wall Street reaction, dumping stock over fears concerning the US-China trade war and lack of cheap money. Tech stocks led this selling frenzy. At the time of writing there are already signs that markets are correcting and this may just be a cyclical blip. Indeed, the FT and others have pointed out that investors had been paying a premium for certain stocks, so the sell-off itself may have been part of that correction. But equally, there could be something else going on. There were some high-profile casualties – Amazon’s stock dropped 6.2% and Netflix’s fell 8.4%. Not all of this can be put down to market jitters. Twitter and Intel both posted disappointing earnings and there are signs that the technology industry may have an image problem. A series of recent high-profile hacks and data misuse scandals have rocked consumer confidence in technology companies. This was bound to have a knock-on effect somewhere. This coupled with the previously warned about over-valuation of certain stocks, particularly the group known as FAANG (Facebook, Amazon, Apple Netflix and Google), has created a perfect storm. The extent to which concerns over data privacy and security have contributed to the latest fall in share prices may be debatable. These signs, however, should not be ignored. Increased public awareness of privacy and security issues after major scandals such as the Facebook/Cambridge Analytica one is not going unnoticed by shareholders and should act as a wake-up call to the industry. Silicon Valley is notoriously resilient and while this may well be business as usual on the stock exchanges, brands can still learn the lessons from it. Companies making mistakes with data and who fail to deal with the PR fallout quickly and efficiently will be punished by their customers and shareholders. Markets may recover quickly; brands and reputations are not so easily fixed. PR is often thought of as a female profession. This is true up to a point. Research from Global Women in PR showed that while two thirds of the global PR industry as a whole is female, only 22% of CEOs in the top PR agencies around the world are women [World PR report 2017]. What this means in practice is that while roles on the lower and middle rungs of the PR industry are filled by women, those at the top, on the executive board, are overwhelmingly made up of men. Why, when there are so many educated, enthusiastic and qualified women in the PR industry, are the boardrooms so dominated by men? And how do we change this? Back in 2014, The Atlantic interviewed several women who worked in PR to try and answer why the industry was so female-dominated. The answer is complicated, but a number of the qualities inherent to PR, such as collaboration, communication and working behind the scenes, are also often associated with women. Women have been socialised to be better at these skills – so it’s no surprise that they are attracted to a career that allows them to utilise them. But why, when many women are both attracted to and often well-suited to PR, don’t they make it all the way to the top? It’s not uncommon to see an agency that is almost entirely made of us women, led by a man. What happens? In part, this is the same issue that almost every industry is currently grappling with. There is an enormous network of reasons why women don’t end up in the C-suite, ranging from a structural bias, to a lack of confidence in women to ask for promotions, to the pressure or desire to start a family. What’s more, the skills that make a good flack can’t necessarily be translated to leadership positions. Once you make it to the top of the PR profession, you’re not actually doing that much PR. Rather, you’re making strategic decisions for the company and the team you lead. But these aren’t excuses. We need to make sure that the diversity of the world we live in is reflected by the people making the decisions. Not only is it fair: it also makes good business sense. A study by McKinsey showed that companies with more diverse workforces perform better financially. A 2011 government review showed that for every woman added to a board the business’ chance of bankruptcy is reduced by 20%. The benefits are clear. And when, in PR, we’re lucky enough to have an enormous pool of exceptionally talented women, we have no excuse for not making the most of them. 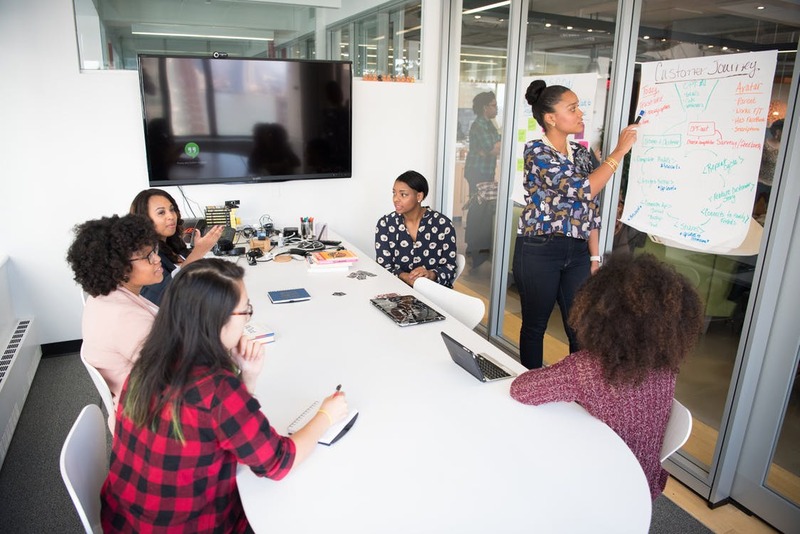 PR firms should boost opportunities for women right from the start, providing sensible careers advice and training and implementing mentoring schemes, such as those created by Women in PR. We need to be setting an example by ensuring that inspiring women are visible right at the top. At Ballou PR, we’re lucky enough to be led by a fantastic and accomplished woman who built an international PR agency up from the ground. We’re proud that our board is 75% female. Other female PR leaders include Tanya Ridd, Snapchat’s director of communications EMEA, and Ali Jeremy, director of communications at the NSPCC. Being able to look up to these inspiring women goes a long way. The tech sector, where only 17% of employees are female, can learn from PR when it comes to hiring women in junior and middle management roles. But both our industries have a long way to go when it comes to attracting, accommodating and retaining women at the very top. We need to take a serious look at why this is the case, make sure that we have some outstanding role models, and nurture talented women in order to show them that they can also be leaders.